This discovery session will help you find out what your organisation needs to consider and do before it moves to Windows 10. 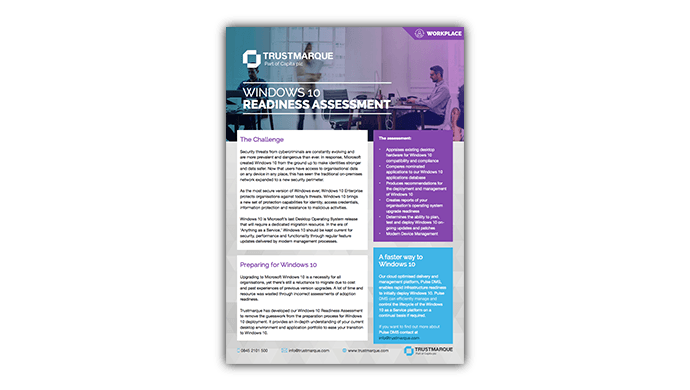 You will be shown what features Windows 10 has and how they will enhance your organisation’s IT capabilities and cyber security posture. The session follows the below agenda but will be tailored to your organisations’ position.